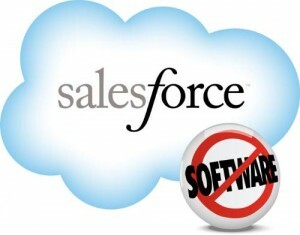 Enterprise cloud-computing company Salesforce.com has announced the newest iteration of its social and mobile CRM networking, Salesforce Chatter. With the update brings new functionality and features with which customer companies sell, service, and market to their customers. Companies are now able to access, create, and act on customer information within the Chatter feed from any device. • Access information such as customer accounts, leads, and cases from within Salesforce and from customized applications built upon the Salesforce platform. Users can obtain real time updates on service inquiries, social media conversations, and more in order to connect with customers across multiple platforms. • Create and edit notifications and tasks from the new publisher functionality and add files, photos, polls, and more with just a few keystrokes. • Act directly on data from the information feed including information such as contacts, accounts, opportunities, campaigns, and customer records. Chatter is integrated across all Salesforce apps and those created by partner companies and other custom apps. The tool is optimized for Android and iOS devices and is free for all Salesforce.com clients. Chatter is on target to receive recording capabilities during the latter half of 2013.